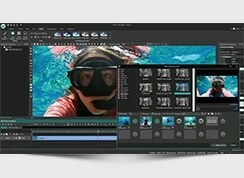 Flash-Integro announces a new version of VSDC Free Video Editor 3.2. The acclaimed video processing tool now features a number of options to enhance audio editing as well. In particular, the new version introduces waveforms for audio and video objects for precise audio handling, visual editing of audio effects, and flexible volume control. 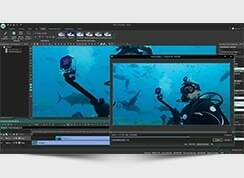 An easy-to-use, massively visual, feature-rich free video editing tool for home use – that’s the first impression VSDC Free Video Editor makes. 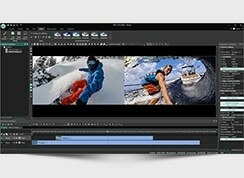 Indeed, the software, while being 100% free, offers a lot of functions often found in professional video editing apps only. Non-linear video editing, subpixel precision, flexible object behavior, and tons of visual effects combine to create robust and effortless creation or editing of video at home. 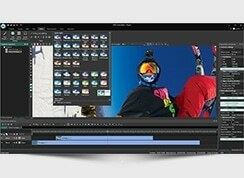 The new VSDC Free Video Editor 3.2 aims to deliver more audio editing options too. Eugene Hapov, the CEO at Flash-Integro comments: “Audio is a natural part of any movie, clip, or home video. In the new release we decided to put the focus on giving our users more audio editing options”. The central part of the new release is waveforms. The new version displays waveforms for audio and video objects to allow a user to accurately match them and edit as a whole. For instance, the user can now easily strip out silent fragments of a video or apply an effect to the given fragment with utter accuracy. And the audio effects (few dozens are available) can be edited visually now for an even better result. Among other novelties in the new version is more flexible control over sound volume. Now the volume can rise and fall linearly or non-linearly and even in an arbitrary combination of linear and curve parts. The option will come in handy when underscoring dramatic moments of a video or making soft audio transitions. 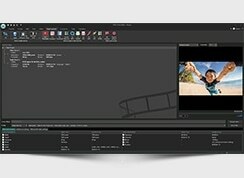 In spite of its vast functionality, VSDC Free Video Editor demonstrates extreme user friendliness and straightforwardness. Almost all video editing tasks are made visually in the tool by means of various Wizards. 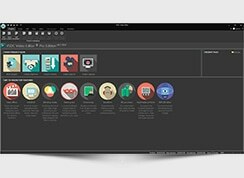 At the same time, the app allows for precise fine-tuning for those users who want to be in full control of the video timeline and effects.